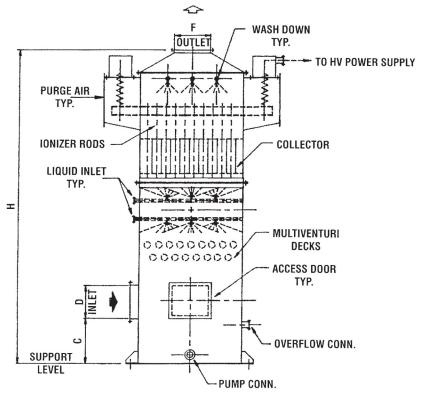 Electrostatic precipitators can collect a variety of particles from a gas stream. 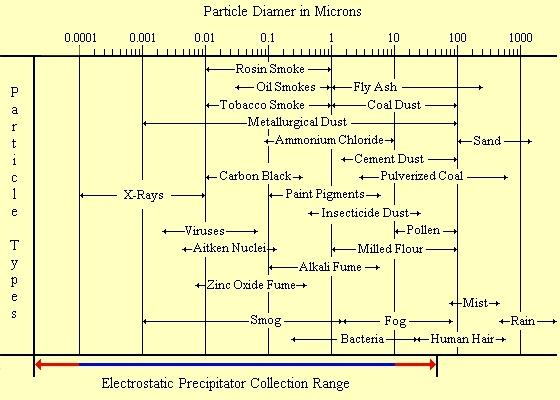 The table below shows the wide range of collection sizes in gas streams, from as small as x-rays and smog to as large as fly ash and pulverized coal. Electrostatic precipitators are used in a variety of industries for emission reduction of particles to control air pollution. The picture shown below is of a refinery boiler that has a wet electrostatic precipitator installed for treatment of flue gas emissions. The following is a small list of typical industrial applications for ESPs.